Here is a full rundown of all the Musical.ly (now TikTok / Douyin) statistics you need to know including how many people use TikTok, what it is, video stats and much more. If you are over the age of 18, you more than likely have never heard of Musical.ly (now TikTok). If you are a marketer or investor, you should take note of this upstart social network. Musically already has 200 million registered users and a very loyal following among teenagers. Musical.ly was started by Alex Zhu and Luyu Yang in China in 2014. It was originally launched as a short-form video platform that focused on self-education. They quickly pivoted from this concept after launch and decide to focus on the world of teenage pop entertainment. The re-launched and current Musical.ly is essentially a video sharing social networking app, but what sets it apart from all the other social apps is the focus of the short videos being shared on the platform are of users lip-syncing and dancing to their favorite songs. A basic concept, but one that is currently a very popular one. I recently sat down to find out more about TikTok and gather a few stats. There aren’t many stats currently available, but now that people in the industry are starting to take note, I suspect we will be seeing more stats soon. Here are a few of the TikTok statistics I was able to dig up. As always, be sure to check back in the future as I will be updating this post as new and updated stats become available. What is TikTok / Musical.ly? How many people used Musical.ly? 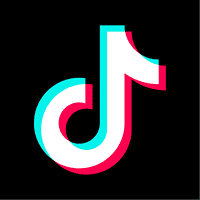 How many people use TikTok? How many people use Douyin?